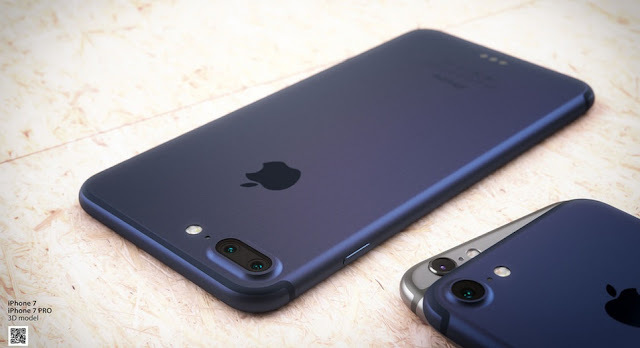 iPhone 7 Specifications, Release Date: After so many days of iPhone 7 leaks, we are pretty sure that what are we expecting from iPhone 7. I’ll try to cover everything from Dimensions to Water Resistancy. A week before its release, iPhone 7 may not be the same name. It may be iPhone 6SE as some of the leaks say. This may be a starter of all the things which we wanted to know about. iPhone 7 is going to be announced on September 7th. This is the date which everyone marked their calendar. Here are the categories of changes made from the previous version of the iPhone to this new version. The top and bottom antenna bands are still going to be there. Without them the cellular signals doesn’t pass. But the antenna bands on the back are finally going away. So it looks same from top antenna band to the bottom antenna band. The users of iPhone are shocked by the removal of 3.5 mm headphone jack. But the true reason behind is of using a lightning port. The lightning connector can be used as an adapter for plugging in the headphones and get some extra clarity sound better than previous 3.5 mm jacks. The removal of headphone jack gives space for another speaker. Don’t expect louder sound from that one. But who loves to listen to music using this speaker can be happier as the dual stereo speakers make your experience better than the previous ones. The camera bump didn’t get away, but it has become lot more bigger than iPhone 6s. When it comes to Camera in iPhone 7s it has a dual camera which looks to have a bigger bump with the two cameras. iPhone 7 can be expected with all the color variants as of iPhone 6s. The rumors show that it is available in Darker Space Grey, Silver, Gold, Rose Gold. It comes with 4.7″ inch for iPhone 7 and 5.5″ inch for iPhone 7 Plus/pro. iPhone 7 comes with 1654 X 750 which include 326 PPI. iPhone 7 Plus comes with full HD 1920 X 1080 which include 401 PPI. Camera has no change when compared with the previous version of iPhone. It has 12 MP shooter with sensor size larger than 1/3″ and pixel size larger than 1.2 micro meters. The Dual camera module in iPhone 7 Plus/Pro has the technology of clicking the image at different iso levels and merging them to get improved quality picture with the reduction of noise. With this dual camera module you can zoom in to the picture or the video without losing quality.The camera can capture images or videos at 30fps and can also record 4K video which can be played in any mobile supporting 4K technology. The slow motion videos doesn’t change from 720p at 240 fps and 1080p at 1020 fps.The front camera has 5 MP shooter with a 1080p support of video recording which the previous versions doesn’t have. Apple introduces its brand new processor A 10 processor with the same 6 core which is better than the A9. It also has a power VR graphics with 8 cores. These features include the disappearance of physical home button merged with the design and improved water and dust resistance, 3D touch and dual speakers.